You’ve probably traveled to Florida’s Walt Disney World, and you might have visited the original Disneyland Park in California too. Perhaps you’re ready for a Disney Signature Experience. What’s that? Well I’m glad you asked. Disney recently invited my daughter and I on a one-of-a-kind Disney Signature Experiences trip to showcase the variety of vacation options beyond the theme parks including Adventures by Disney, Disney Cruise Line, and Aulani, a Disney Resort & Spa. Continue reading for more details on each part of this whirlwind adventure. First up, we experienced how Disney made traveling the world fun, immersive and hassle-free for families with Adventures by Disney. During our Disneyland and Southern California Escape, Disney-trained Adventure Guides combined VIP access, hands-on activities, and signature storytelling and brought destinations to life including behind the scenes tours of the Walt Disney Studios and Walt Disney Imagineering. Once we arrived, we were whisked to the Disneyland Resort and checked into Disney’s Grand Californian Hotel. We met our guides who escorted us into the Disneyland Park for a welcome dinner. We dined at Cafe Orleans on beignet & chicken sandwiches, Monte Cristos, and Mickey Beignets for dessert. It was a veritable 4 course beignet dinner. Afterwards, we squeezed in quick rides on the Haunted Mansion, Pirates of the Caribbean, and Big Thunder Mountain Railroad before we settled in to our reserved seats for Fantasmic! Following a good night’s sleep, Adventures By Disney took us inside the Disney Studios Lot, followed by a tour of Walt Disney Imagineering, and dinner at one of Walt Disney’s favorite restaurants. Another early wake up on the third day as Adventures By Disney’s Southern California short escape started at 6:00am to enter Disneyland before it opened to the public. Afterwards we were treated to a number of behind-the-scenes experiences on classic attractions and an exclusive tour inside Walt Disney’s personal, private apartment inside Disneyland Park. The best part of any Adventures By Disney trip are the fabulous guides who shared their passion & knowledge. Christian and Lori treated us like family and took care of our needs throughout the itinerary. 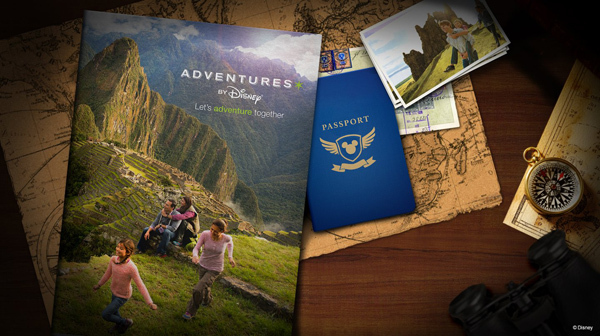 The guides made the “Disney Difference” during this type of guided travel. Next, we “let it go” on the Disney Wonder during a two-night Disney Cruise from San Diego to the Baja Pennisula on the Mexican Riviera. However, the pièce de résistance was a signature brunch at Palo, the adults-only fine dining restaurant found on the Disney Cruise ships. Now that my daughter is 18, she was finally able to enjoy this elegant meal for the first time. Aloha! The third and final leg of our Disney Signature Experiences “Amazing Race” landed us at Aulani, a Disney Resort & Spa where we enjoyed the beauty and spirit of the Hawaiian Islands through the lens of Disney storytelling. Everything about Aulani was designed to respect and tell the stories, cultures, and traditions of Hawaii, all while the resort created a distinct family vacation experience. Sure, Aulani had a fantastic beach, pool, & spa, but it also had food, art, & entertainment that captured and told the story of the islands. Each night “Uncle” sang songs and shared myths and legends around the firepit. The Ka Wa’a Luau emphasized the importance of the Polynesian Wayfinders in establishing the Hawaiian culture as well as the mythology that surrounded the Demigod Maui. Food in the restaurants highlighted traditional dishes of the islands as well. The ‘Ōlelo Lounge even featured carvings and labels that taught the native language, and all the servers spoke Hawaiian as well. ‘Ōlelo (pronounced oh-leh-low) is Hawaiian for “word” or “to converse.” A television was not found in the lounge, but, instead, the space was designed to elicit conversation between family members. 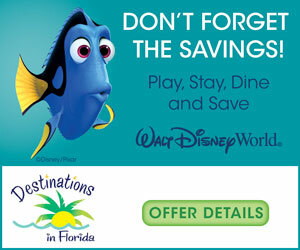 Of course, it wouldn’t be a Disney resort without characters. We saw Mickey, Minnie, Pluto, Goofy, Stitch, and more, but even those characters were on a Hawaiian vacation visiting Aulani to experience a unique culture. This Disney Signature Experiences trip was special in many ways. Not only for the once in a lifetime itinerary, but it helped us understanding how these experiences outside the Disney Parks were linked together. The thread that made these signature experiences “Disney” was storytelling, exceptional service, and events shared as a family. DISCLOSURE: Disney hosted myself and my daughter during this Disney Signature Experiences trip including travel to California, Hawaii, accommodations, and some meals & experiences. However, all opinions are those of the author. For more family travel news, reviews, and trip reports, be sure to follow Adventures by Daddy on instagram, twitter and “like” our facebook page too.